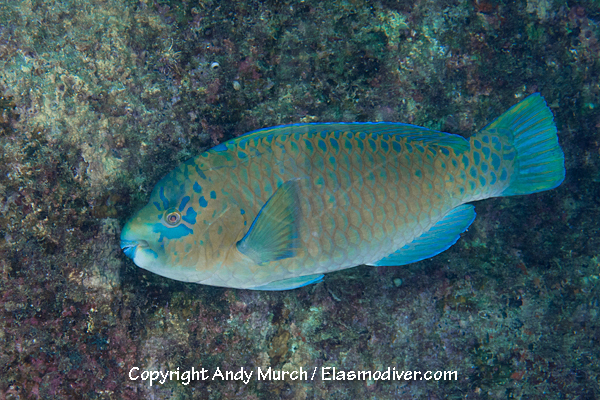 The Bumphead Parrotfish (Scarus perrico) can be found from the southern end of the Sea of Cortez to Peru. It is easily recognizable by its protruding forehead. It should not be confused with the enormous bumphead parrotfish from southeast Asia (Bolbometopon muricatum) which is quite different and has a proportionately much larger bump. 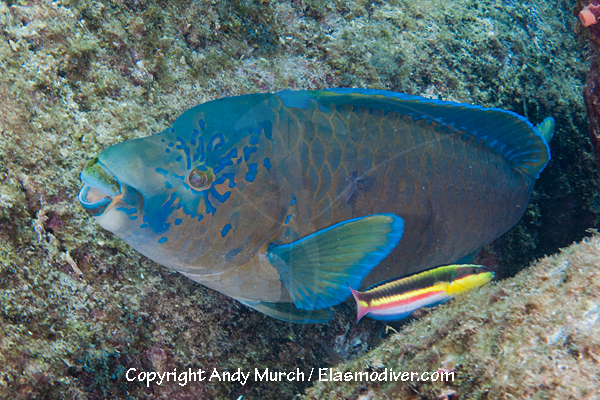 These Bumphead Parrotfish pictures are available for commercial licensing. For further information regarding usage please e-mail Elasmodiver. All of the images on elasmodiver.com are copyright protected. No unauthorized use of these Bumphead Parrotfish pictures is permitted. Please contact Elasmodiver for further information.